The Buckland Family of West Virginia, Virginia and Maryland by Timothy L. Buckland (Copyright Timothy L. Buckland 1988) Generation No. 1 1.JOHN1 BUCKLAND died Abt. 1807. He married SUSANNA. John Buckland is the progenitor of the Buckland clan that originally settled in West Virginia and Virginia and which has now scattered throughout the world. The following is a chronology from public records of his migration: September 1758London, England – John Buckland left England bound for America on the ship TRYAL. It is uncertain as is the ultimate destination of the ship in America. March 2, 1778Montgomery County, Maryland – John Buckland swore th following “Oath of Fidelity and support” to Maryland, appearing on line 37 of “The Worshipful William Deakins’, Jr., Returns”;”I do sware that I do not hold myself bound to yeild any Allegience or Obedience to the King of Great Britian his Heirs or Successors, and that I will be true and faithful to the State of Maryland, and will to the utmost of My power, Support, Maintain and defend the Freedom and Independence thereof and the Government as now established against all open Enemies and Secret and Traiterous Conspiracies, and will use my Utmost Endeavors to disclose and make known to the Governor or some one of the Judges or Justices thereof, all Treasons or Traiterous Conspiracies, Attempts or Combinations against this State or the Govern-ment thereof which may come to my knowledge So help me God.”According to REVOLUTIONARY RECORDS OF MARYLAND (vii) “The Act of Assembly, 5 February 1777, required that the Oath of Fidelity and Support be taken by all citizens, especially all holding positions of trust, all voting at any election, all those transacting business in Maryland; and even citizens of one county who transacted business in another county were required to record their Oath in the latter county. The “Test Oath”, or “Oath of Fidelity and Support” was most important in Revolutionary times and could not be taken lightly.”1783-1784Berkeley County, Virginia – John Buckland appeared in the Personal Property Tax Lists.1790-1795Rockingham County, Virginia – John Buckland appeared in the Personal Property Tax Lists, as well as the Land Tax Lists from 1791 thru 1795 owning 147 acres of land.From TENTH LEGION TITHABLES (43), John Buckland lived in the area including: “Keezletown–Keezeltown Road (Old Indian Road)–Head of Smith Creek–Head of Cub Run–Smithland–Kratzers Spring (Linville)–Kratzers Road–Grubbs Knob–Fridleys Gap–Lairds Knob–Peals Cross Roads, Penn Laird–Massanutten Caverns.”1796-1798Greenbrier County, Virginia – John Buckland appeared in the Personal Property Tax Lists.1799-1807Monroe County, Virginia – John Buckland appeared in the Personal Property Tax Lists. Monroe County was formed from Greenbrier County in 1799.1801-1803Monroe County, Virginia – John Buckland appeared in the Land Tax Lists owning 159 acres of land.February 21, 1804Monroe County, Virginia – “Ordered that John Buckland in future be exempted from paying County and Parish Levies on account of bodily infirmity.” Order Book 87, Page 179.May 15, 1804Monroe County, Virginia – John Buckland bought 73 acres of land on Indian Creek (near the present community of Greenville, Monroe County) from William and Elisabeth Maddy (Deed Book A, Page 336).1805-1807Monroe County, Virginia – John Buckland appeared in the Land Tax Lists owning 73 Acres of land.1809-1825Monroe County, Virginia – “John Buckland heirs” appeared in the Land Tax Lists owning 73 acres of land “on waters of Laurel Creek adjoining lands of James Maddy.”October 17, 1825Monroe County, Virginia – John Buckland’s heirs sold the 73 acres of land on Indian Creek to Joseph Hinchman (Deed Book H, Page 494).John Buckland apparently died between the 1807 and 1809 Land Tax Lists, and since Virginia did not take an 1808 Tax List, his death date cannot be further pinpointed. No marriage has been located for John Buckland, however, when his heirs sold his 73 acres of land, in addition to his children was his “relict” (widow), Susanna. It is uncertain whether she was the mother of any or all of John Buckland’s children. She died around 1841. The above information came from THE BUCKLAND FAMILY OF WEST VIRGINIA, VIRGINIA AND MARYLAND by Timothy L. Buckland. Children of JOHN BUCKLAND and SUSANNA are:2. i. THOMAS2 BUCKLAND, b. 1775; d. 1840. ii. JOHN BUCKLAND, b. Abt. 1781; d. 1871; m. VIOLETTY CRAWFORD, October 1, 1814, Monroe County, Virginia. iii. RACHEL BUCKLAND, b. Abt. 1783; d. Abt. January 1833, Monroe County, Virginia. Rachel Buckland apparently never married. Her will is recorded in Monroe County Will Book 3, Page 151 dated November 13, 1833. iv. ELIZABETH “BETSY” BUCKLAND, b. Abt. 1784; d. Abt. 1861.Elizabeth Buckland apparently never married. Her will is recorded in Monroe County Will Book 8, Pages 96-97, dated October 4, 1860.3. v. STEPHEN BUCKLAND, b. Abt. 1788; d. Abt. 1860. vi. MARGARET “PEGGY” BUCKLAND, b. Abt. 1793; m. DANIEL SMITH, October 24, 1813, Monroe County. vii. DANIEL BUCKLAND, b. Abt. 1794, Rockingham County, Virginia; m. POLLY ROACH, August 1, 1814, Monroe County. viii. WALTER “WATT” BUCKLAND, b. Abt. 1795; d. Abt. 1867. ix. SUSANNA BUCKLAND, b. Abt. 1804; d. February 14, 1853, Monroe County. x. MARY ANN BUCKLAND, b. Abt. 1805; m. CHARLES HERRON. Generation No. 2. THOMAS2 BUCKLAND (JOHN1) was born 1775, and died 1840. He married MARGARET WICKLINE October 3, 1806 in Monroe County, daughter of JACOB WICKLINE and CATHARINE SPARR. From Personal Property Tax Lists, Thomas Buckland moved from Monroe County to Tazewell County between 1828 and 1829, where he probably died. Children of THOMAS BUCKLAND and MARGARET WICKLINE are: i. REBECCA3 BUCKLAND, b. 1804; d. Princeton, Mercer County, West Virginia; m. JOHN SMITH, Princeton, Mercer County, Virginia.4. ii. JOHN BUCKLAND, b. 1804; d. April 13, 1894, Peterstown, Monroe County.5. iii. JACOB W. BUCKLAND, b. Abt. 1809, W. Va. (1920 Census); d. August 29, 1880, Tazewell County, Virginia. 3. STEPHEN2 BUCKLAND (JOHN1) was born Abt. 1788, and died Abt. 1860. He married MELINDA MEADOWS February 28, 1811 in Monroe County, daughter of FRANCIS MEADOWS and FRANCES BUSH. On July 3, 1860, Stephen Buckland sold his share in the estate of his son, Peter Buckland, which included 167 acres on the Greenbrier River, promissory notes, and personal property, to John, Richard, Francis, James and Mary J. Buckland, since he was “old and infirm and unable to give attention to settle the estate”. (Monroe Deed Book T, Page 635). Then on February 8, 1861, he sold his share in the estates of his sisters, Susan and Elizabeth Buckland, which included 24 acres, Laurel Creek, to his sons James and Richard Buckland (Monroe Deed Book T, Page 724). Children of STEPHEN BUCKLAND and MELINDA MEADOWS are: i. PETER3 BUCKLAND. ii. JAMES BUCKLAND. iii. RICHARD BUCKLAND. iv. FRANCIS BUCKLAND. v. MARY J. BUCKLAND. Generation No. 3. JOHN3 BUCKLAND (THOMAS2, JOHN1) was born 1804, and died April 13, 1894 in Peterstown, Monroe County. He married MARY “POLLY” RAINES August 12, 1826 in Monroe County. Mary “Polly” Raines was the daughter of ? and Elizabeth Raines. Among the property JOHN BUCKLAND OWNED WAS;4 May 1835 – 73 acres, valley at the foot of Peter’s Mountain on waters of Hands Creek, received by Land Grant (Monroe Survey Book 2, Page 172).28 Aug 1850 – 125 acres, Indian Creek, grom Michael and Elizabeth Fleshman (Monroe Deed Book 4, Page 1180; 4 October 1851 – to Whitson Green (Monroe Deed Book Q, Page 565). Child of JOHN BUCKLAND and MARY RAINES is: i. JACOB H.4 BUCKLAND. 5. JACOB W.3 BUCKLAND (THOMAS2, JOHN1) was born Abt. 1809 in W. Va. (1920 Census), and died August 29, 1880 in Tazewell County, Virginia. He married MARTHA W. “PATSY”. Among the property Jacob W. Buckland owned included:25 Jul 1841; 150 acres on the Bluestone River, Tazewell County, Virginia (Book 7, Page 432), from Allen and Martha McCoy.22 May 1856; 200 acres north of Stony Ridge, Tazewell County, Virginia (Book 12, Page 178), from C.F. and Jane Tiffany.24 May 1860; 8 acres on Mud Fork, a tributary of the Bluestone River, Tazewell County, Virginia (Book 13, Page 514), received from Bartley and Sarah Belcher.28 Jul 1860; 140 acres on the Bluestone River, north side of Stony Ridge, Tazewell County, Virginia (Book 13, Page 514, received from William and Jane Compton. Children of JACOB BUCKLAND and MARTHA “PATSY” are: i. NANCY J.4 BUCKLAND, b. September 30, 1837; m. ELIHUE “HUGH” COMPTON, January 28, 1858. HISTORY OF TAZEWELL COUNTY AND SOUTHWESTERN VIRGINIA states, “Elihue Compton (Nancy’s husband) 16th Virginia Cav., sounded at Gettysburg, July 1863.6. ii. WILLIAM JASPER BUCKLAND, b. Abt. September 1839; d. April 5, 1899, Buried Falls Mills, Va. 4/7/1899.7. iii. HUGH A. BUCKLAND, b. April 20, 1840, Tazewell County, Virginia; d. June 5, 1866, Tazewell County, Va. House fire.8. iv. JOHN R. BUCKLAND, b. 1842, Tazewell County, Virginia. v. MARGARET BUCKLAND, b. 1844. vi. AMANDA E. BUCKLAND, b. 1848.9. vii. JACOB ALEXANDER BUCKLAND, b. November 26, 1849, Tazewell County, Virginia; d. November 1, 1919, Falls Mills, Harry Cemetary. viii. EGAN O BUCKLAND, b. November 28, 1853. ix. REBECKAH ELIZABETH BUCKLAND, b. March 13, 1856. x. LEANDER G. BUCKLAND, b. March 17, 1859. xi. LOUISA BUCKLAND, b. 1862. According to the Bluefield Daily Telegraph obituary, Jasper Buckland was buried April7, 1899 at Falls Mills. He was an aged and highly respected citizen of Tazewell County struck by a freight train and instantly killed. It seems that Mr. Buckland was walking along the eastbound track, and observing a train approaching stepped onto the opposite track to get out of the way, unaware of the fact that a train was approaching from the east also. He was struck by the engine, knocked from the track and instantly killed.Mr. Buckland, who was a successful farmer, lived on his farm near Falls Mills, where he owned considerable property. He was a prominent Republician politician, having taken a prominent part in every campaign for many years past.Jasper married Emily Emma Tabor, March 14, 1865, Tazewell County, Virginia. She was b. September 1846, Tazewell County , Virginia, the daughter of James H. and Nancy Tabor. In the 1900 Census, she reported giving birth to 6 children, 3 of whom were still living. Confederate Civil War records state:William J. Buckland enlisted 2 Jul 1861 Wytheville, Virginia with Company C, 50th Virginia Infantry as a Private. Height 5’10” Age 25 Complextion fair, Eyes Blue; Hair, Black. He was given Parole of Honor, 22 June 1865, Charleston, W. Va. for Confederate Veterans wounded in battle. HISTORY OF TAZEWELL COUNTY AND SOUTHWESTERN VIRGINIA states;W.J. Buckland, 50th Va. Inf., wounded at Wilderness, May 1864. Children of WILLIAM BUCKLAND and EMILY TABOR are: i. JOHN A.5 BUCKLAND, b. May 10, 1866. ii. JOHN A. BUCKLAND, b. April 5, 1867 iii. JAMES J. BUCKLAND, b. Abt. September 1869, Missouri; m. (1) SALLIE ELIZABETH MURRELL, December 19, 1894, Tazewell County, Virginia; m. (2) FANNIE G. GIVENS, February 17, 1921, Falls Mills, Tazewell County, Virginia.More Occupation: Farmer/General Farm (1920 Census) SALLIE ELIZABETH MURRELL:Cause of Death: Pneumonia/influenza iv. MAUD B. BUCKLAND, b. June 5, 1872. v. CHARLES EDWARD BUCKLAND, SR., b. June 5, 1872, Tazewell County, Virginia; d. August 31, 1946, Bur 9/2/1946 Harry Cemetary, Falls Mills; m. ELIZABETH BURNETT “LIZZIE” HUDGINS, January 18, 1905, Tazewell County, Virginia. Charles Edward Buckland retired in 1940 from the Norfolk and Western Railway System, where he was a railroad shopman at the Bluestone shops. (This is Curt Buckland’s Father). 7. HUGH A.4 BUCKLAND (JACOB W.3, THOMAS2, JOHN1) was born April 20, 1840 in Tazewell County, Virginia, and died June 5, 1866 in Tazewell County, Va. House fire. He married JOSEPHINE HARLESS October 2, 1861, daughter of DAVID HARLESS and MARY HARLESS. Hugh Buckland, his wife Josephine and brother Leander died in a house fire 6/5/1866.Confederate Civil War records state;Hugh enlisted July 2, 1861, Wytheville, Virginia, with Company C, 50th Virginia Regiment as a Private. In May 1863, he got a receipt for clothing while he was in 1st Division Hospital, Camp Winder, Richmond, Virginia. Height 5’8″ Age 23 Complexion Fair; Eyes Hazel; Hair dark. On September 27, 1864, he got a receipt for clothing while he was in General Hospital, Montgomery Springs, Virginia. He was given a Parole of Honor, June 22, 1865, Charleston, W.Va. for Confederate veterans wounded in battle. Child of HUGH BUCKLAND and JOSEPHINE HARLESS is: i. MARTHA A.5 BUCKLAND, b. 1864.8. JOHN R.4 BUCKLAND (JACOB W.3, THOMAS2, JOHN1) was born 1842 in Tazewell County, Virginia. He married ELIZABETH N. TURNER March 6, 1873, daughter of THOMAS TURNER and LUCINDA. Occupation farmer. Residence, Bluestone, Virginia/HISTORY OF TAZEWELL COUNTY AND SOUTHWESTERN VIRGINIA states; “John W. Buckland, 16th Va. Cav., wounded at Gettysburg, July 1863.”John R. Buckland was selected Constable in Clear Fork Township, Tazewell County, Virginia, June 29, 1870. Children of JOHN BUCKLAND and ELIZABETH TURNER i. ELIZABETH ANN5 BUCKLAND, b. October 18, 1875. ii. JENNIE BUCKLAND. iii. EGAN BUCKLAND. iv. LUCINDA T. BUCKLAND. Jacob ran a water mill at Falls Mills, Virginia. People came from miles around to grind corn and wheat. He also was a horse breeder. He purchased a stud horse imported from England at a cost of $4,000. Thehorse’s name was Brigidiar. Sam Walton bought the horse first and sold it to Jacob Alex.Jacob traveled throughout the country renting the horse for stud service. Another horse, Deck, was also for stud service. He had a mare named Mell that the kids would ride. Jacob died of pneumonia caused from entering the icy water in winter to fix the mill. Cause of Death: PneumoniaOccupation: Horse Breeder/Mill OwnerChildren of JACOB BUCKLAND and SARAH TABOR: i. NANCY POLLY5 BUCKLAND, b. January 19, 1872, Tazewell County, Virginia; d. May 13, 1922; m. CHARLES WIMMER, February 24, 1887. ii. GEORGE ROBERT SYLVESTER BUCKLAND, b. December 21, 1876, Tazewell County, Virginia; d. December 25, 1960, Roanoke, Virginia; m. MARGARET R. RITTER, January 1, 1902. Milligan College/Milligan Tn/Christian School Occupation: N&W Railroad iii. CORA BELLE BUCKLAND, b. April 12, 1878, Tazewell County, Virginia; m. (1) C.B. CRAWFORD; m. (2) A.D. FIELDS, December 17, 1901. iv. WILLIAM HARRISON BUCKLAND, b. January 7, 1882; d. August 20, 1932, Welch, W. Va.; m. (1) VIRGINIA “JENNIE” PEAKE, December 25, 1900, Eckinan, McDowell County, W.Va.; m. (2) REBECCA ATWELL, August 15, 1924, Big Four, McDowell County, W. Va..Cause of Death: Hit by a Bus Occupation: Rock Quarry/ Foreman Coal Mines (1920 Cens v. SAMUEL G. BUCKLAND, b. Abt. March 20, 1883, Stony Ridge. vi. LARKIN WATSON BUCKLAND, SR., b. February 14, 1885, Mudfork, Tazewell County, Virginia; d. February 5, 1967, Falls Mills, Virginia Harry Cemetary; m. MARY JANE DAVIDSON, March 3, 1909, Tazewell County, Virginia. 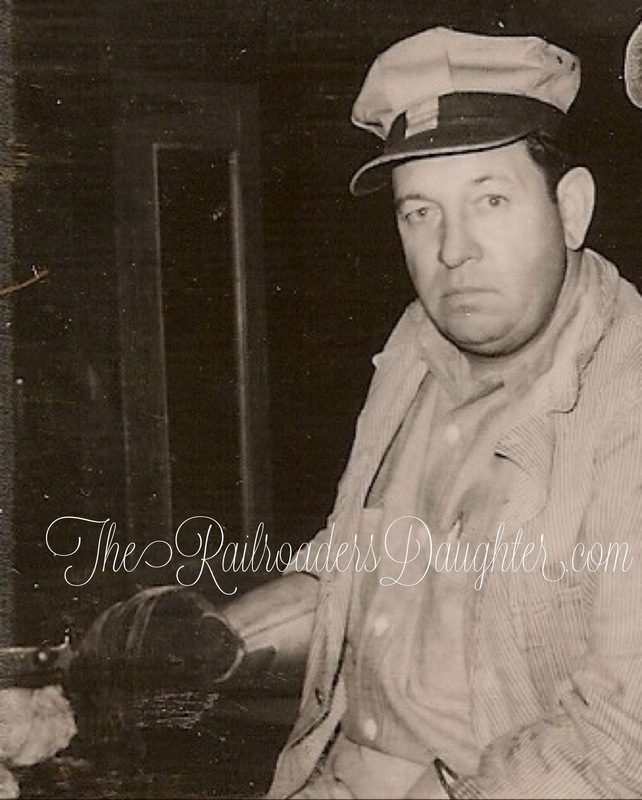 Prior to retiring as an engineer from the Norfork and Western Railroad, Watson also worked as a RR fireman and pm section gang. In the early days he worked in a rock quarry for .50 per day. He was a member and honorary elder of Falls Mills Christian Church, a lifetime member of the Brotherhood of Locomotive Engineers and a member of the Bluefield Old Guard. 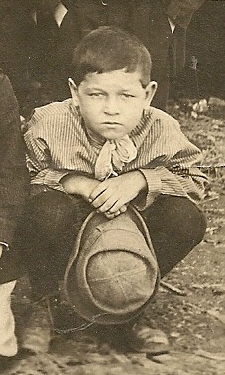 He and his family moved from Bluefield, West Virginia to Falls Mills in May 1922, to the log cabin his parents had lived in. He later built a brick home on the property, which is currently (2008) owned and occupied by his son and wife, Robert and Margaret Buckland. Cause of Death: Conjestive Lungs Church Affiliation: Falls Mills Christian Church Date of Baptism: June 1911 by W.S. Bullard, Falls Mills, Va Occupation: N&W Railroad Eng. Retired 1951/48yr Svc. Notes for MARY JANE DAVIDSON:Obituary Memorial/Bluefield Daily TelegraphFuneral services for Mrs. Mary Jane Buckland 74, wife of L.W. Buckland of Falls Mills, Va., will be conducted Sunday at 2:30p.m. at Falls Mills Christian Church. Dewey Parr, Clarence Greenleaf, and Clinton Looney will officiate, with burial in Tabor Cemetary at Falls Mills.The body will be taken from Dudley Memorial Mortuary to the home at 2p.m. Friday and to the church one hour before services.Mrs. Buckland died Thursday morning in a Bluefield hospital after being admitted two weeks ago.She was a native of Tazewell County, Va., daughter of the late Mr. and Mrs. Granger Davidson. She was a member of the Falls Mills Christian Church, the Brotherhood of Locomotive Engineers Aixiliary, and the GIA.Survivors, other than her husband, include a daughter, Mrs. James W. Lawrence of the home; four sons, Robert Charles, Walter, and L.W. Buckland, Jr., of Falls Mills; two sisters, Mrs. Cosby Stone of Orlando, Florida, and Mrs. Robert Wimmer of Falls Mills; 18 grandchildren; five great-grandchildren.Three sisters preceded her in death. Descendants of Larkin Watson Buckland, Sr.Generation No. 4) 1. LARKIN WATSON5 BUCKLAND, SR. (JACOB ALEXANDER4, JACOB W.3, THOMAS2, JOHN1) was born February 14, 1885 in Mudfork, Tazewell County, Virginia, and died February 5, 1967 in Falls Mills, Virginia Tabor Cemetary. He married MARY JANE DAVIDSON March 3, 1909 in Tazewell County, Virginia, daughter of ERASTUS GRANGER DAVIDSON and ELIZA GREEVER GREGORY. Children of L.W. BUCKLAND, SR and MARY DAVIDSON are: i. MARY JANE6 BUCKLAND, (Twin)b. February 12, 1910; d. July 23, 1910, Harry Cemetary Falls Mills, Va..More About ii. MARGRETTE HAYNES BUCKLAND, (Twin)b. February 12, 1910; d. September 3, 1910, Harry Cemetary, Falls Mills, Virginia. iii. BERTHA WARD BUCKLAND, b. September 19, 1911, Bluefield, West Virginia; d. October 6, 1975, Falls Mills, Virginia. Harry Cemetery. iv. NORA FRANCIS “FRANKIE” BUCKLAND, b. July 25, 1913, Bluefield, W. Va.; d. February 12, 1955, N. Tazewell, Virginia Harry Cemetary; m. WALTER W. GRAHAM, October 7, 1934. Cause of Death: Heart attack Date of Baptism: October, 1927 by M.C. HughesMedical Information: Heart disease,3. v. LARKIN WATSON BUCKLAND, JR., b. October 8, 1915, Bluefield, West Virginia; d. November 6, 1993, Bluefield, W. Va. ST. Lukes Hos. Grandview Cemetary.4. vi. ROBERT CECIL BUCKLAND, SR., b. April 14, 1918, Williamson, W. Va. Mingo County.5. vii. CHARLES NYE “CHUB” BUCKLAND, b. March 16, 1924, Falls Mills, Virginia; d. June 29, 1978, Claytor Lake, Pulaski County, Virginia.6. Harry Cemetery viii. WALTER EDWARD BUCKLAND, SR., b. March 14, 1926, Falls Mills, Virginia; d.
2. BERTHA WARD6 BUCKLAND (LARKIN WATSON5, JACOB ALEXANDER4, JACOB W.3, THOMAS2, JOHN1) was born September 19, 1911 in Bluefield, West Virginia, and died October 6, 1975 in Falls Mills, Virginia. She married JAMES WALTER LAWRENCE, SR. October 7, 1934.More About BERTHA WARD BUCKLAND:Cause of Death: Heart AttackChurch Affiliation: Falls Mills Christian ChurchMedical Information: Heart diseaseOccupation: Montgomery Ward, Bluefield, W. VA. Children of BERTHA BUCKLAND and JAMES LAWRENCE i. Living ii. GEORGE WATSON “RED” LAWRENCE, b. December 2, 1937.3. LARKIN WATSON6 BUCKLAND, JR. (LARKIN WATSON5, JACOB ALEXANDER4, JACOB W.3, THOMAS2, JOHN1) was born October 8, 1915 in Bluefield, West Virginia, and died November 6, 1993 in Bluefield, W. Va. ST. Lukes Hos. Grandview Cemetary. He married NANNIE LUCILLE DAVIS September 11, 1938 in Bristol, Tennessee, daughter of ASA DAVIS and ALTHA BROOKS.Larkin Watson Buckland, known to most as “Buddy” was born in Bluefield, West Virginia, Mercer County and resided his early years at 1505 Highland Avenue. He was a Democrat (no matter what !). He retired from the Norfolk and Western Railroad 1/24/1980 as an engineer after 40 years of service beginning 10/12/1940 on Penn. Railroad and 12/3/1942, N&W. He was previously a coal miner; a barber, attending Kel-Roe Barber College on High Street in Columbus, Ohio. The same building is now (7/1988) occupied by a book store.Buddy’s mother Mary Jane Davidson said that L.W.Sr.’s name was Larkin Watson “Haynes” Buckland. Thus, she passed the name on to twin, “Margrette Haynes Buckland” who died as an infant, then to L.W.Jr. and subsquently to a grandson “Ellis Haynes Buckland”In April 1977, Buddy was working on a train in Williamson, West Virginia. There was a flooding in the coal fields which trapped the train and its crew for four days, from Sunday night until Wednesday morning. The crew was stranded on the 3rd floor of the 10 story Mountaineer Hotel. Flood waters were 20 feet deep in the street and on 2nd Avenue up the the 2nd story of the hotel. Beside the hotel was the Chamber of Commerce where there is a statue of an Indian, made of coal. All of that was under water.Buddy and some of his crew found mesh wire from an antenna on the roof and got 2×4’s to make nets. They caught items floating in front of the hotel. In fact, they fished out food in cans and plastic, enough to feed 90 people during the stay. Crew members fished out beer, whiskey and cigarettes. Carlton Whitley, brakeman on the job, even fished out a tire to fit his truck.When the water subsided, the men waded out with garbage bags on their legs and made it to the Salvation Army, setup in the school.Microwave (?) phone systems had just gone into effect. Buddy heard Supt. Stephens on the phone, spoke with him resulting in Robert Buckland coming to Williamson to pick up the crew.In 1966, highway 460 between Bluefield, Va. and Tazewell was being expanded to 4-lanes. Homes were being sold, but had to be moved to new locatins. Buddy bought a home to move about 4 miles west of its original location to the current (2008) location on Bluefield-Tazewell Rd. He often said he was the only man to buy a house and ride it home. He rode atop the house to help move electrical wires out of the way as the movers trucked the house. Cause of Death: Conjestive Heart Failure Church Affiliation: Falls Mills Christian Church Date of Baptism: October, 1927 by M.C. Hughes Hobbies: Fishing Occupation: N&W eng. 10/12/1940 retired 1/24/1980Political Affiliation: Democrat Lucille Davis Buckland was named for her paternal grandmother, Nancy C. “Nannie” Jessee. 4. ROBERT CECIL6 BUCKLAND, SR. (LARKIN WATSON5, JACOB ALEXANDER4, JACOB W.3, THOMAS2, JOHN1) was born April 14, 1918 in Williamson, W. Va. Mingo County. He married MARGARET ALOIS WALLACE September 1, 1939 in Bland County, Virginia, daughter of GROVER WALLACE and ETNA CALDWELL. Falls Mills, Va. Church Affiliation: Christian Church Date of Baptism: October 1927 by M.C. Hughes, Falls MillsHobbies: Sunday School Teacher/Deacon/ElderOccupation: N&W Railroad Eng. Retired 9/14/1979/39 yrs. Margaret is the daughter of Grover Cleveland and Ora Etna Caldwell. CHARLES NYE “CHUB”6 BUCKLAND (LARKIN WATSON5, JACOB ALEXANDER4, JACOB W.3, THOMAS2, JOHN1) was born March 16, 1924 in Falls Mills, Virginia, and died June 29, 1978 in Claytor Lake, Pulaski County, Virginia. He married CLARA JANE RASH February 1, 1946 in Tazewell County, Virginia. I am the great granddaughter of Nancy Buckland and Eli Hugh Compton. I was born at Falls Mills, Va.
Hi Janet, thank you for sharing! What is your line? Which child was your grandparent? Parent? Nancy was my grandfather, L.W. Buckland’s sister, my great aunt. My grandfather, Edward “Grayson” Compton was their son. Grayson is my mothers father. I was born on his farm located as soon as you turn from the main road take the first paved road on the right leads to the farm. This is where my grandparents are buried called the Grayson Compton Cemetery. Eli and Nancy are buried in the older Compton Cemetery going toward the dam. I am also related to the Tabor, Turner, Corder, Hudgins families from the Bluefield area.